I forgot to include the “before” photo in my last post, but I fixed it, so make sure you check out what a DISASTER that little plot of land was before we my husband cleared it. Our home had pretty good landscaping already started when we moved it, but we wanted more roses, so we have taken out some boring bushes and put in some new rose bushes over the last few years. It seems as though this year will be the year of the rose at our house, because they’ve exploded and it is still really early in the season. Sunday morning while I was sleeping in, my husband cut a ton of them and put them in a big vase next to the bed for me to wake up to (cue the “awwwwww!” yeah, he’s pretty adorable). 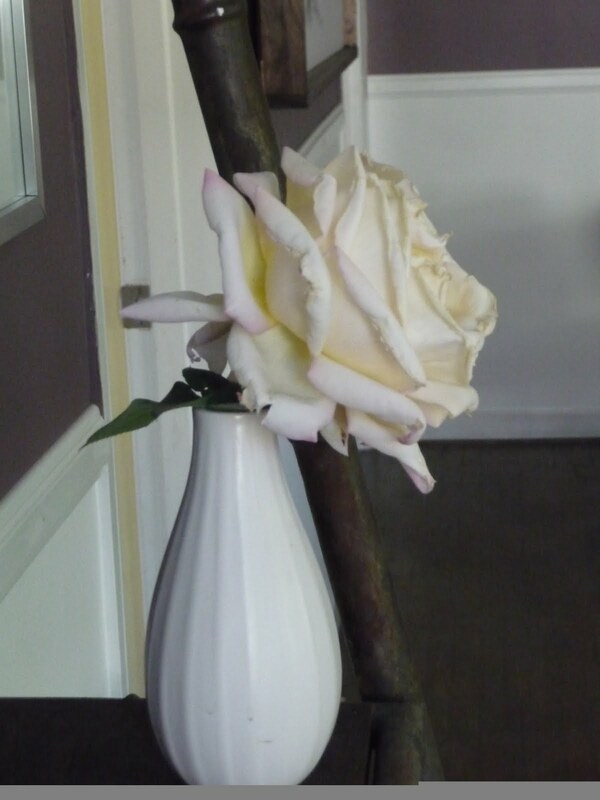 The house was a total disaster and I decided that I needed to clean it to bring it up to the roses’ beautiful level. Also, I divided up the big bunch into some smaller vases so they’d be more evenly distributed around the room. These are my favorite. 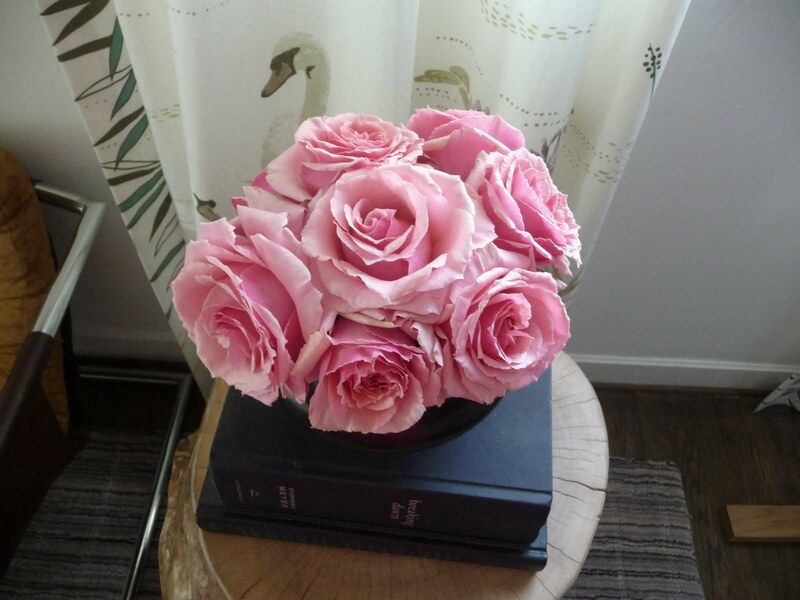 Note to self: need more two tone roses. Doesn’t this look like a centerpiece at a wedding or something? It smells amazing in our living room. 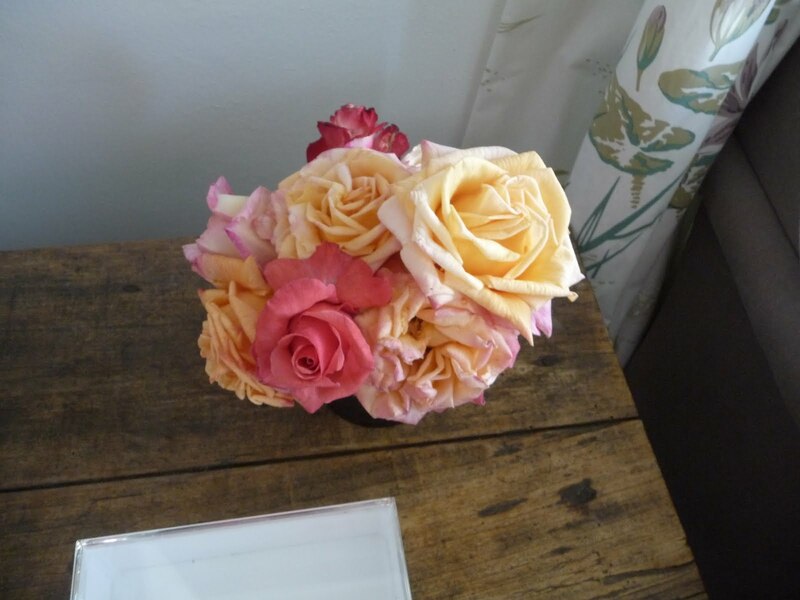 These aren’t roses, but they’re from our garden, as well! They remind me of Easter. It’s so easy (and cheap!) 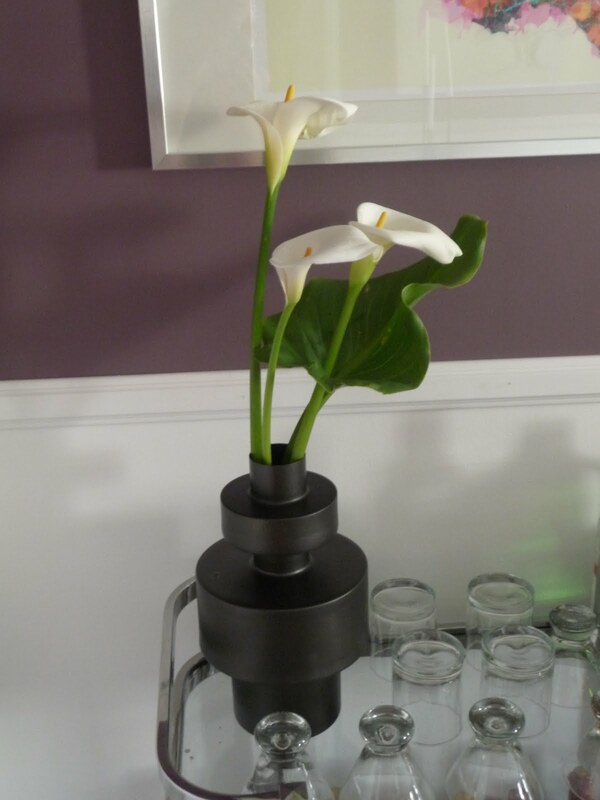 to keep fresh flowers in the house in the spring. How often do you bring fresh flowers inside? As soon as I can I start bringing in flowers. Right now all we have are daffodils, but next will be flowering tree branches, and then roses all summer. Now I want to plant more roses bushes (we currently have 4, red, yellow, pink and a pink/yellow mix). We are also going to plant some hydrangeas so I will have those to cut in the future. @MicheleNice! Do you ever buy fresh cut flowers? @Amy Mostly in the winter when there is nothing outside to cut, our grocery store here (Wegman's) has a really nice floral selection. Beautiful roses. 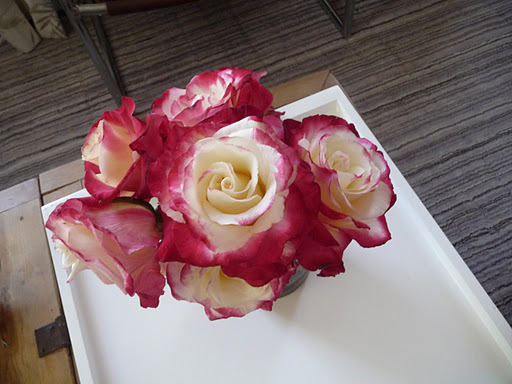 I love two toned roses. love it! can't wait 'til it starts to bloom here in the north east! @Joey and LanaThanks! You'll get lots of warm weather when you visit in May!